The DJ Awards was created back in 1998 to recognise and celebrate the talents of the greatest DJ’s. This annual event is held at the end of September at Pacha, Ibiza and unites DJ´s from all over the world who come to celebrate their achievements. 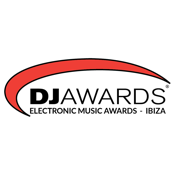 It is the only international DJ Awards ceremony to be held in Ibiza and remains faithful to all those that it honours; DJ´s & the Electronic Music scene.